In Euro NCAP’s latest crash tests, Fiat’s ageing 500 and Ford’s brand new Ka+ notched up just three out of five stars apiece. Among a total of six cars tested six new cars, the Audi Q5, Land Rover Discovery and Toyota C-HR all got a top five-star safety rating, while Citroen’s C3 just missed out to receive four stars. 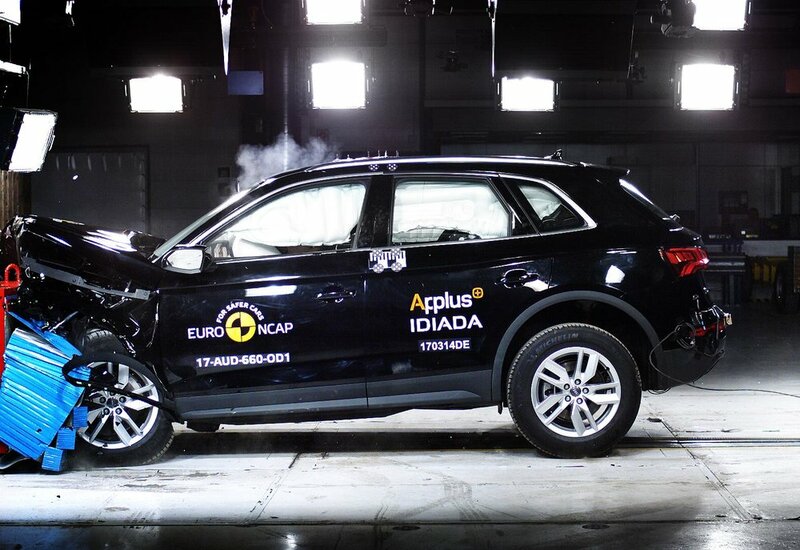 Euro NCAP says the new Audi Q5 and Toyota C-HR showed good all-round performance in all areas of assessment to earn their five-star ratings. The Land Rover Discovery scored highly enough to merit a five-star rating, but not without problems. In the frontal offset test, the driver airbag bottomed out owing to insufficient pressure and, in the side barrier test, the driver’s door became unlatched. After more than 10 years on the market, Fiat’s reincarnation of the iconic 500 continues to be a popular choice in the supermini segment. Euro NCAP tested the recent facelift against the latest safety rules and benchmarked its performance with two newcomers in the same segment - the all-new Citroën C3 and the low-cost Ford Ka+. With superminis extremely popular in the European new car market and the segment, which is very price-sensitive, Euro NCAP explains how to deliver 'attractive yet affordable cars, manufacturers are tempted to cut down on safety equipment'. Case in point are the Fiat 500 and the Ford Ka+ that lack rear seatbelt pretensioners and load-limiters, by now standard on most cars on the market. In the full-width frontal crash test, introduced in 2015, the Fiat 500 showed poor protection of both the driver and the rear seat passenger. In the Ka+, chest protection was also rated as poor. Both cars also lack autonomous braking technology, already offered on half of new models today. The Citroën C3 on the other hand performed much more robustly: it narrowly missed a top five-star rating, falling only just short of the threshold in pedestrian protection.